I can’t cook so Thanksgiving is always a little more anxiety inducing than enjoyable. Instead of baking something scrumptious or trying a new zesty recipe, I prefer to do the decorating, and the center piece for the dinner table is my favorite! I love to try new, fun ideas with items not always associated with Thanksgiving. I also try to work with natural items to bring the outdoors in, and of course, it is always nice to use free materials. 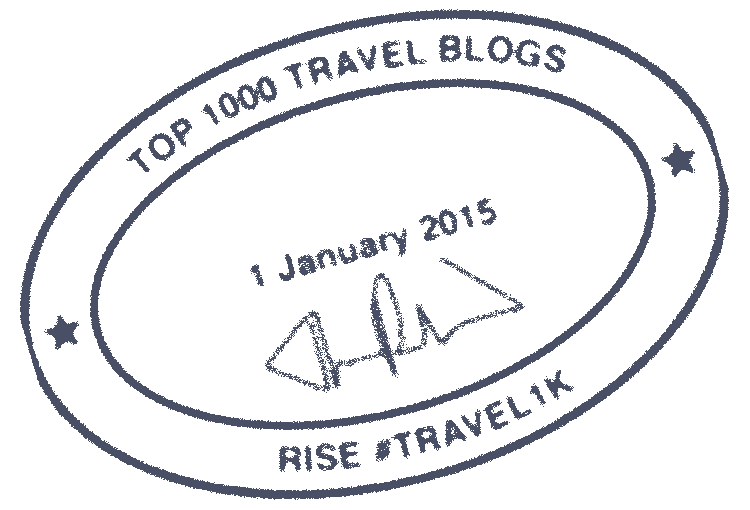 After watching the DIY Network last weekend (quite possibly my most favorite channel), I decided to look up some inspiration online. 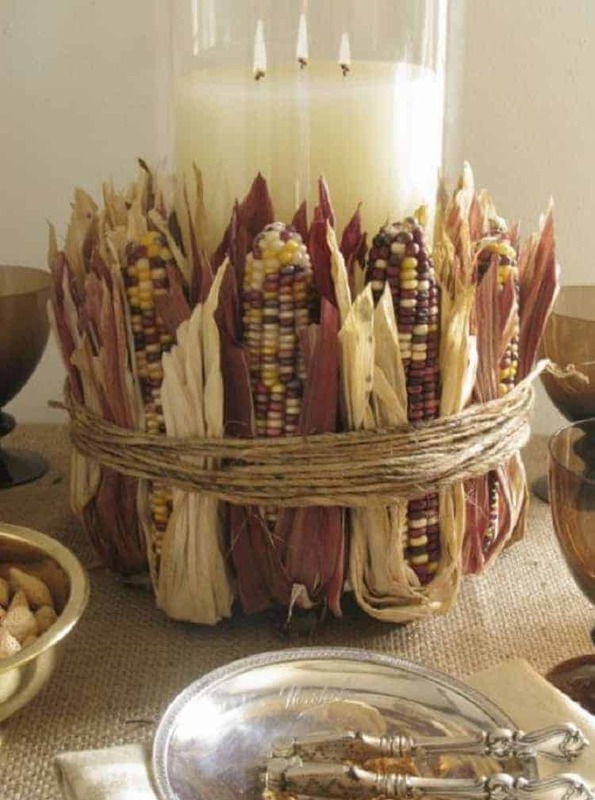 Here are a few easy DIY Thanksgiving centerpiece ideas to help you create your own masterpiece. This homemade centerpiece comes from the 724 South House blog. She has instructions on making and staining this box and assembling the vibrant pieces. 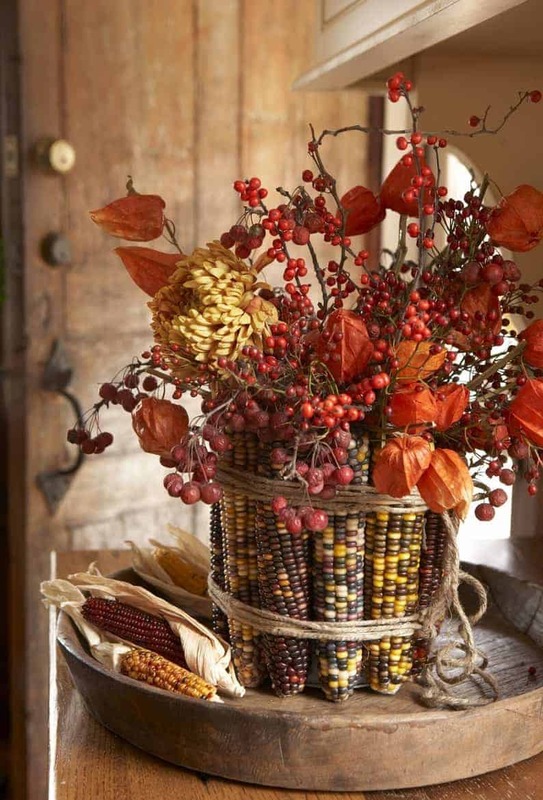 This festive creation is a great focal piece for a Thanksgiving table. Karin from Your Cozy Home handmade this foliage table setting. It proves that you don’t need elaborate and expensive materials to really make a wonderful, holiday table decoration. Instead of going for the traditional warm fall colors, try this beautifully elegant look from Stone Gable. 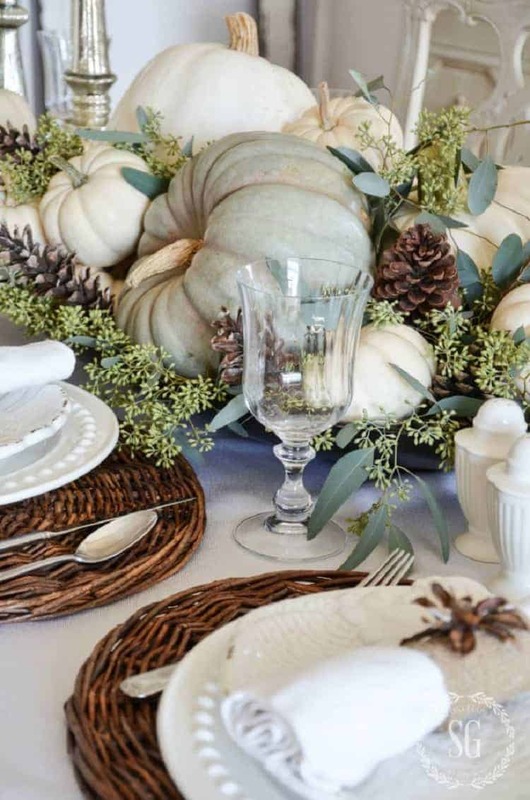 Using white and blue pumpkins as the center pieces, the pale colors combined with accents of silver give the table a modern Thanksgiving makeover. Also read: Adult 'Potion' Recipes For Halloween! Go natural like this display from Take the Side Street. 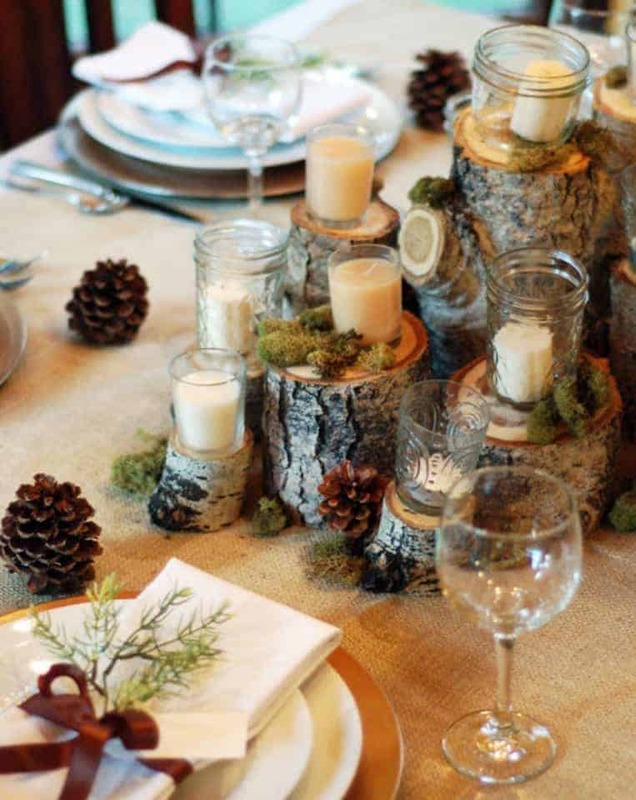 Using tree stumps, moss, pine cones, and candles, it makes an outdoorsy center piece that is highlighted by the soft candle light. This easy addition to a candle can make for a great Autumn piece for your family dinner. Eddie Ross has step by step details to create this center piece. 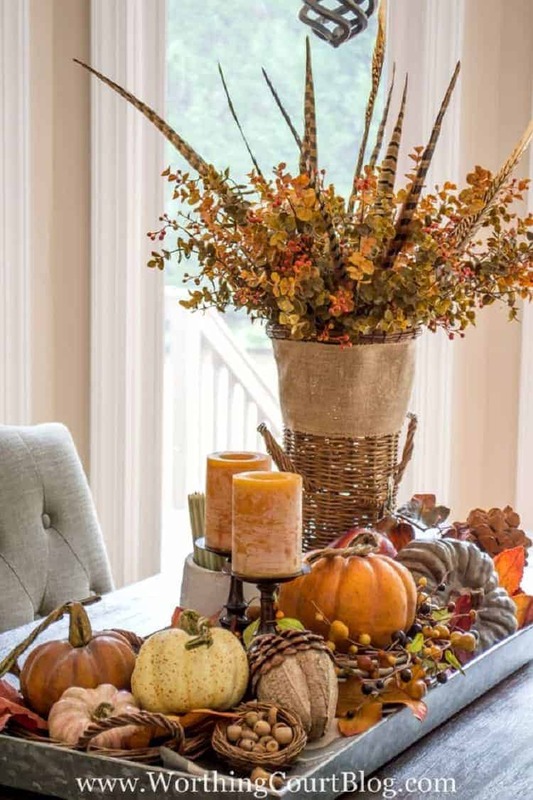 Use it as inspiration to add fall flair to other items around your house. Get creative with this idea from Better Recipes. 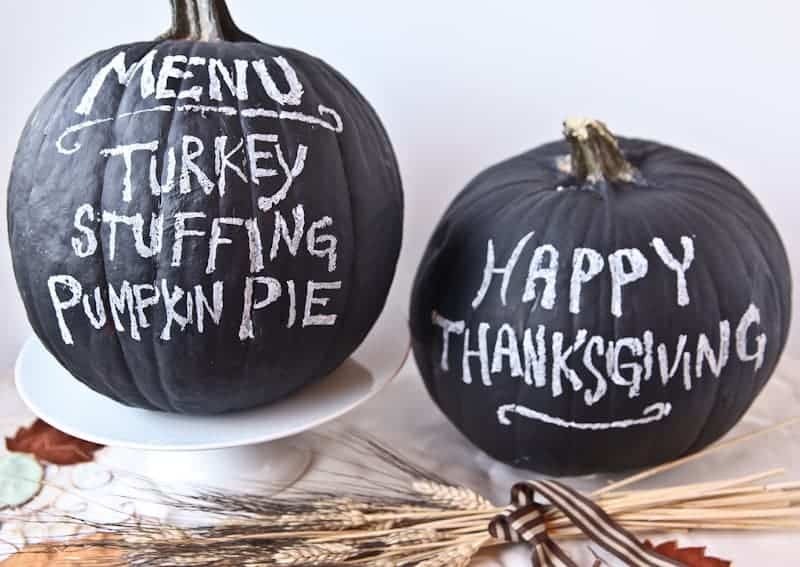 They painted pumpkins with chalkboard paint and displayed their menu and holiday messages on them. 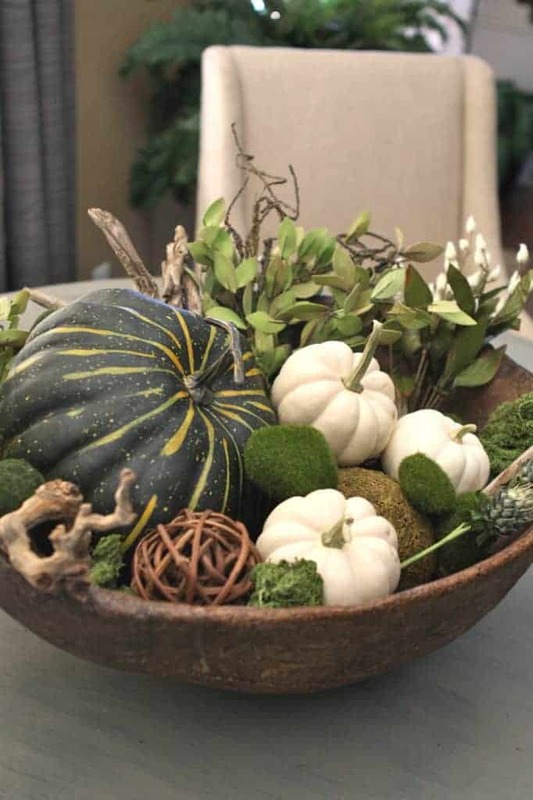 At Worthing Court, Suzy is the mastermind behind this eclectic fall center piece. Visit her page to see the details up close and gather more fall farm house ideas. 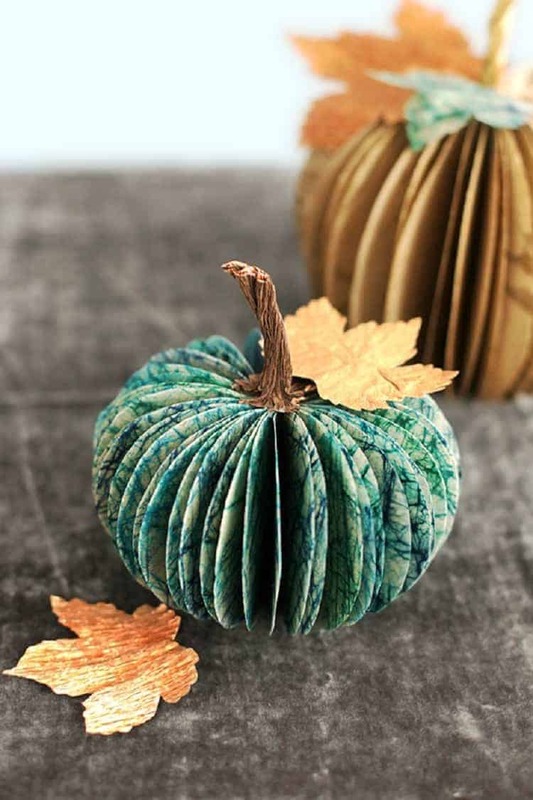 Use the simple steps from Minted to create your own paper pumpkins. They are easy to make, and you can create your own fun color scheme. Make your guests green with envy with this great compilation from The Goodwill Gal. It is a beautiful modern, funky table center piece for your Thanksgiving.